Beautiful day today. I worked outside, and took a few quick shots to share. I seemed to be in letter mode today. After painted the picnic basket, I decided to add a little something extra. 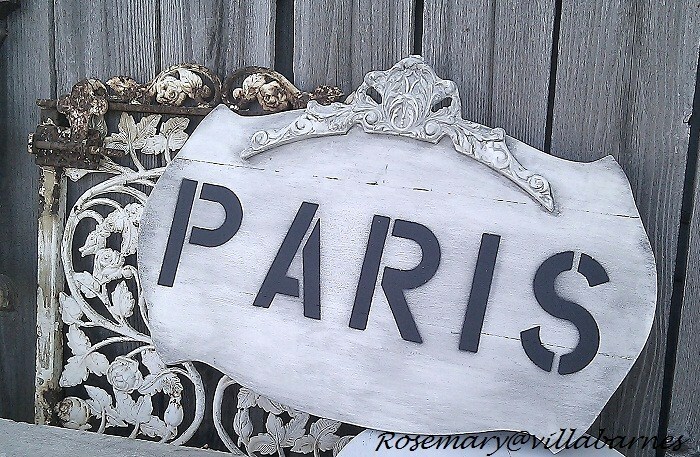 This Paris sign started as a piece of wood I picked up at a garage sale. 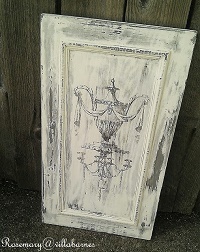 I attached an ornate fragment, and gave it multiple layers of white paint/gesso. 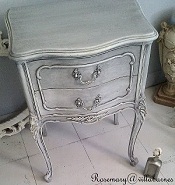 Next, I stenciled "Paris", distressed it a little, and gave it a wash of watered down black paint. The marble top iron table you see did not start out life this way. I've had the old base for a while. I liked the rusty finish, so I sealed it. The vintage marble came from an estate sale. I was giddy when I saw that it was a perfect fit. I'll have more to share before the weekend. See ya soon. Debbiedoos: Newbie Party Reunion Thanks for the memories, Debbie. These are fantastic. You did a great job transforming something plain into something great!!! Yum! 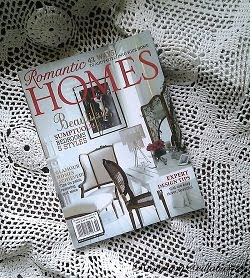 I'm so excited to find your blog! 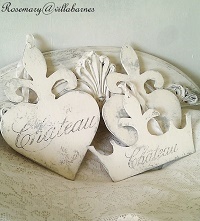 Thanks so much for commenting on mine and for visiting. So nice to have you! Love it all!! I just love seeing the things that you create!! 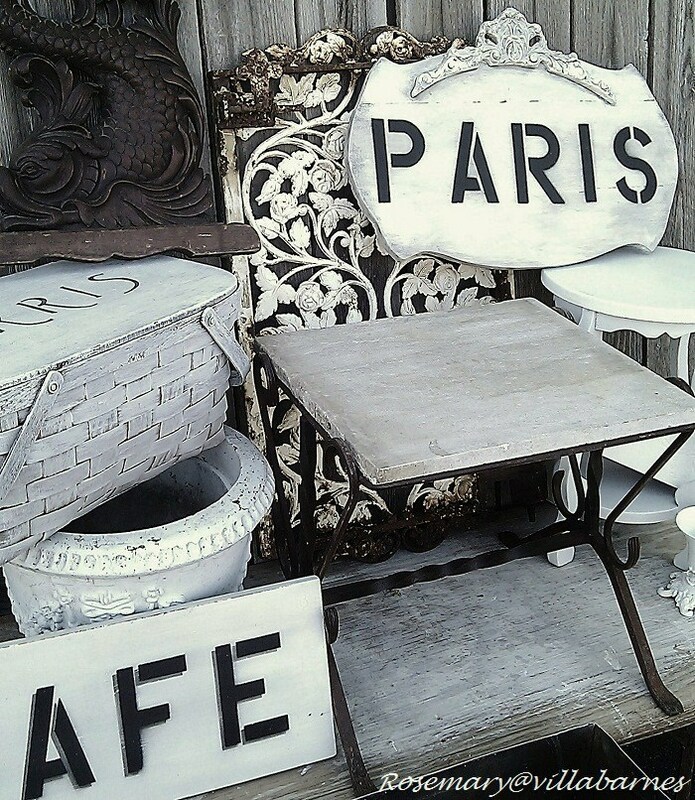 Love that Paris sign.And that table is perfect with that marble top.I Love when things work out that way.Just meant to be. Beautiful Paris sign and marble table! 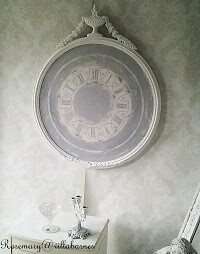 Love the marble table-lovely when things are true fit like that. Gorgeous as always. And yes, I understand your excitement when you found the marble was a perfect fit. Isn't it wonderful when that kind of thing happens? Hey there Rosemary. I love that basket. Great shots. FYI, newbie party reunion going on now, and would love to have ya. You continue to have amazing posts every time I drop by to visit. Love your photography as well as your creations. Thanks for joining in girl. It has been fun to watch you grow..and grow you have. Keep up the good work! Love everything you do!!! This is no exception! So thrifty! I'm always inspired when I read the things you've created. 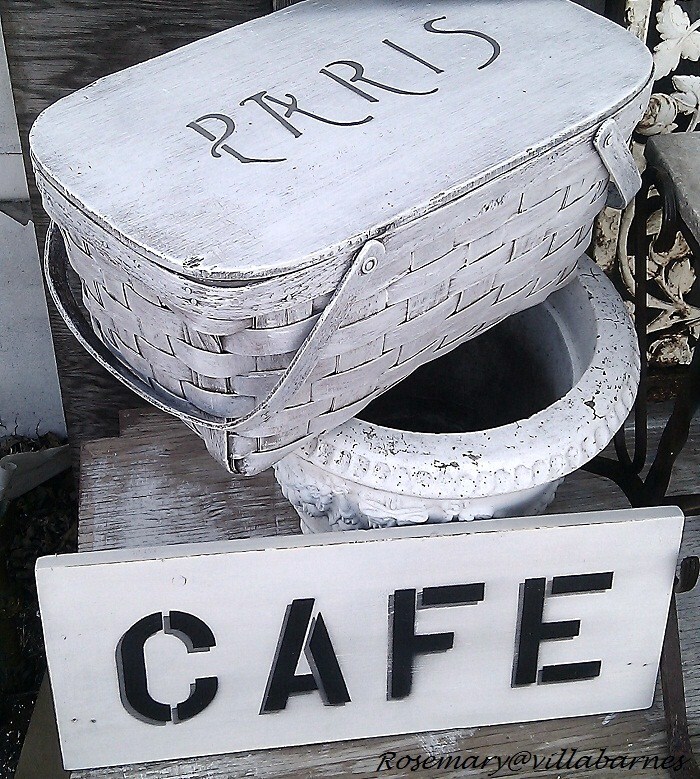 Love that little table and how you made that Paris sign. Rosemary, I saw your link at the reunion party. I probably met you through Debbie. You always have the most wonderful creations. Now I've got to find a picnic basket like yours! What a great transformation Rosemary! I picked up some unfinished wood plaques months ago at the thrift shop, not knowing what to do with them. Now you have inspired me!! honestly, your work is continually beautiful and inspiring! Its all beautiful, love that sign! Stunning as usual! I love the Paris sign. I just posted a tray that I painted, which was inspired by you. You might want to take a peek. You always make everything look AMAZING!! I love the table with the marble. I found a piece of marble too and I have it sitting on my counter top... love marble! I also love your white basket... all baskets look great white! Rosemary as always your work is stunning. I love the Paris sign. The table looks fantastic with the marble top. Wow! Just fantastic! Love the Paris sign! Thanks to DebbeDoos, I met you, cherish your friendship, and your inspiration! what a great shaped piece of wood, and you really made it even better fancying it up like that! OK..I am loving that picnic basket painted!! !...You always come up with the greatest ideas!...A picnic in Paris...what more can you ask for!!!.. Your pieces are always so amazing Rosemary and I love that marble topped table! Thanks so much for sharing it all with us at Inspiration Friday this week! Wow what an eye this looks amazing. Hope you enjoyed being outside! You have some terrific items you've transformed. 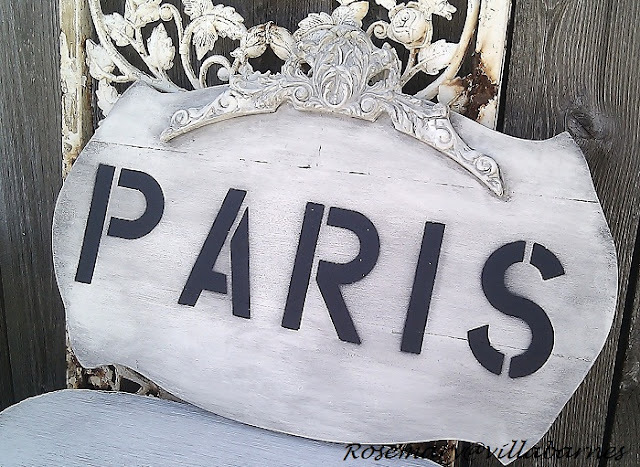 Love the paint treatment on your "Paris" sign. 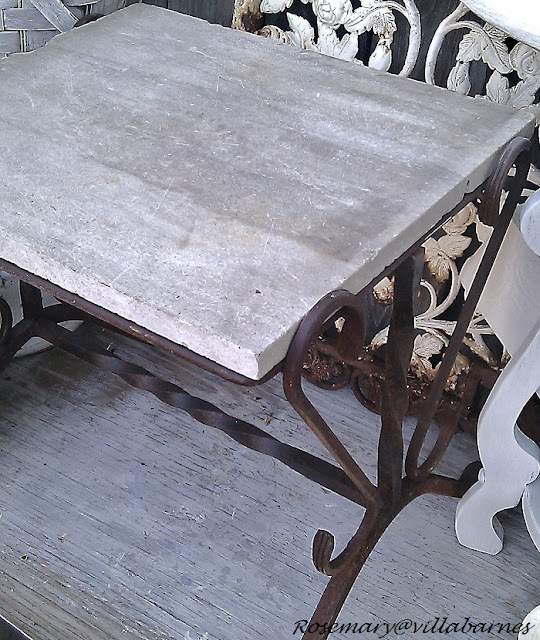 And that iron table with the marble top....LOVE it! Looks great--you are so creative! Great vision! Your Paris sign looks so nice! 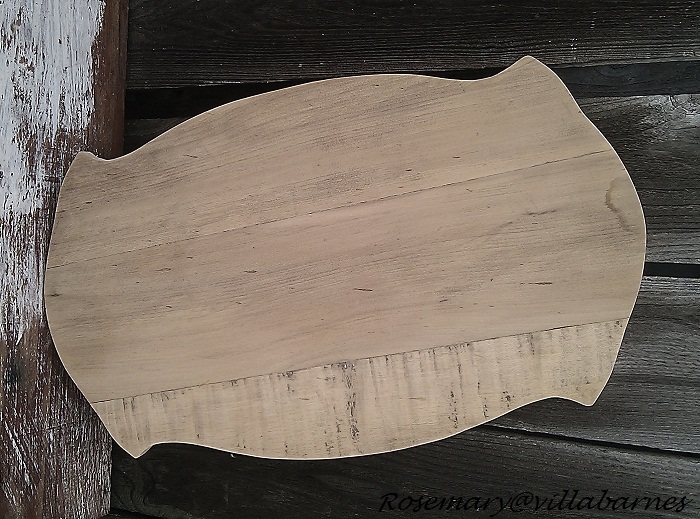 It's hard to believe it started out as such an ordinary piece of wood! I can't wait till yard sale season is back in full swing! 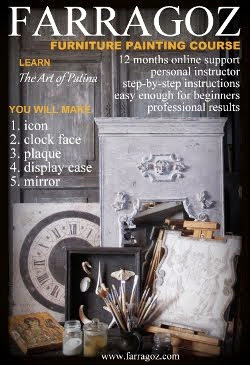 Your projects are all gorgeous, I especially like the iron base with the marble top. Gorgeous!!! Thanks for more inspiration! Love both pieces but that marble table is a real beauty! 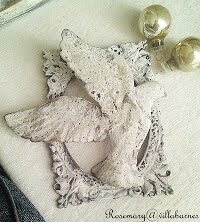 Rosemary I saw your latest featured on the DIY Showoff. So well deserved! Beautiful as always. Congrats. You are so talented! I love your sign so much, but I also really love what you did to that picnic basket, and I am going to use that idea too! Beautiful work, thank you so much for sharing. I am pinning that basket and that sign, thanks! professionally designed, let the designer know ahead of time that you'd like to use a photo, and give them a soft copy of the photo so they can incorporate it.